MICHELE DELL'AIRA CAVA E PIETRA DI SABUCINA, Porphyry, Façade work contractors, Stone claddings also for artistic uses, on EUROPAGES. 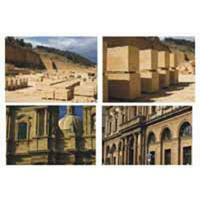 Sabucina stone is also used for artistic purposes for buildings and historical monuments. It is a highly valuable stone and is ideal for building restoration work. A very noble stone, ideal for renovation and architectural conservation. Michele Dell'Aira is able, upon request, to produce items with bespoke dimensions. The excellent characteristics of Sabucina stone make it an ideal choice in architectural works for indoor and outdoor cladding and a variey of artistic uses such as: sculptures, capitals, etc.